Here you’ll find a collection of resources that you can print at home to use throughout your spiritual journey. 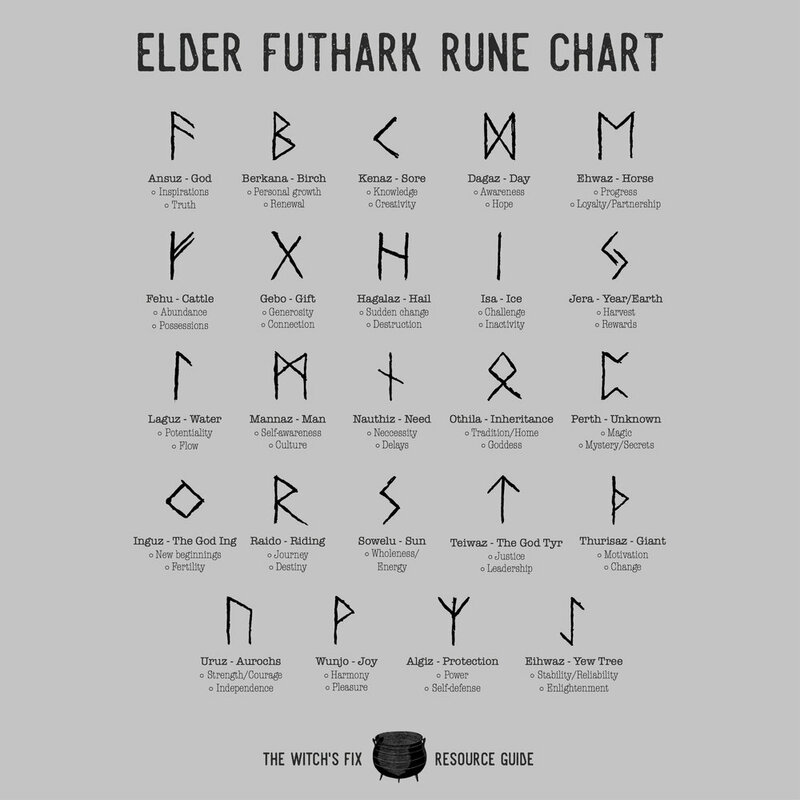 This chart gives a brief introduction to the Elder Futhark runic alphabet. 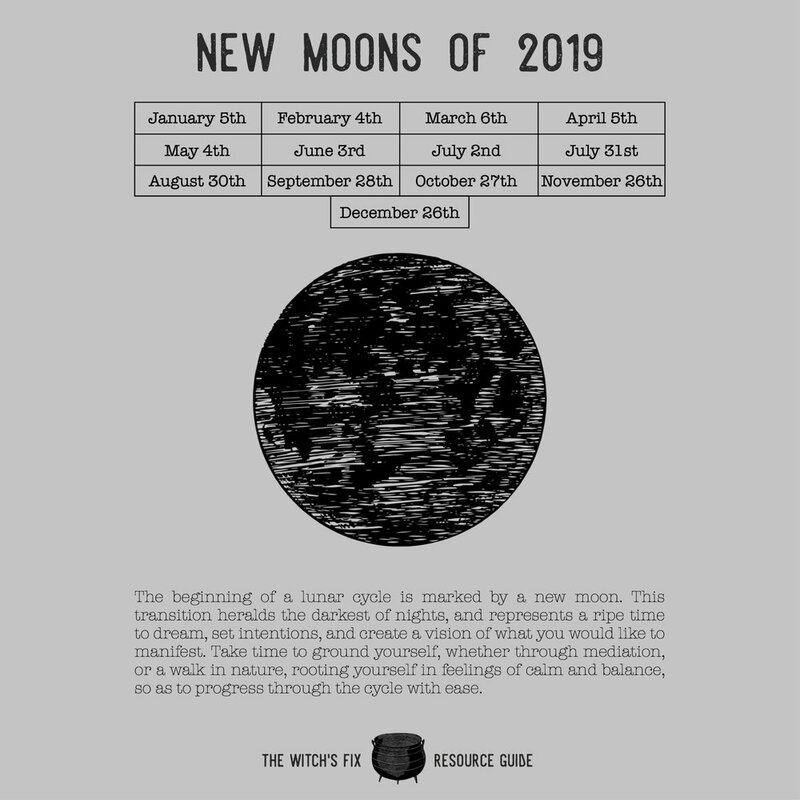 This page outlines the new moons of 2019, and gives a general description of this phase. This page outlines a few safe & effective techniques for cleansing and recharging your crystals, as well as ways to incorporate them into your daily life. 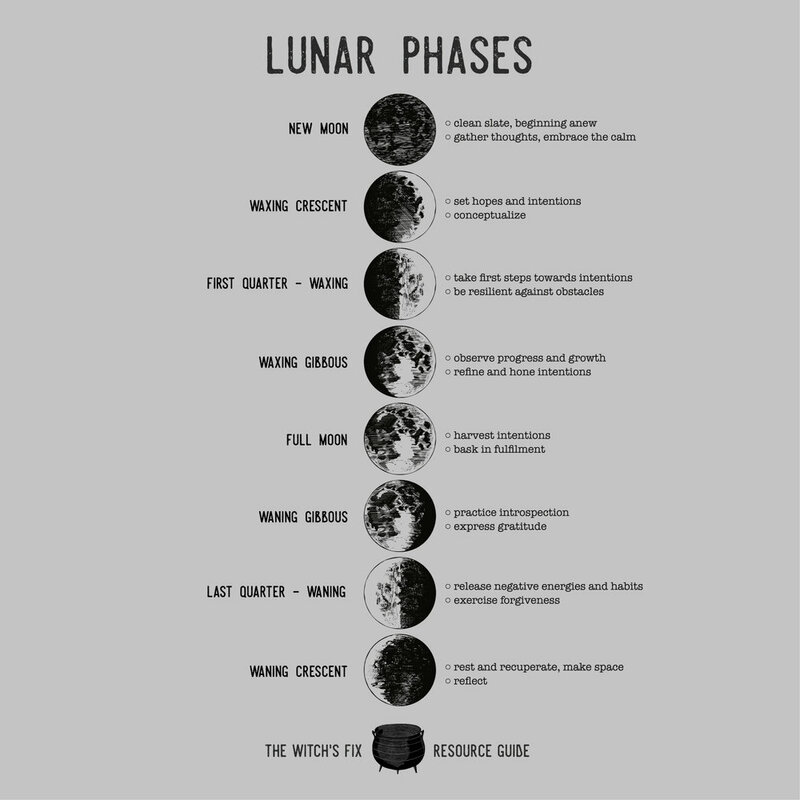 This page gives a brief introduction to the phases of the moon, and the properties of each aspect of the cycle. This page gives a basic overview of the four tarot suits, with room to add your own notes.